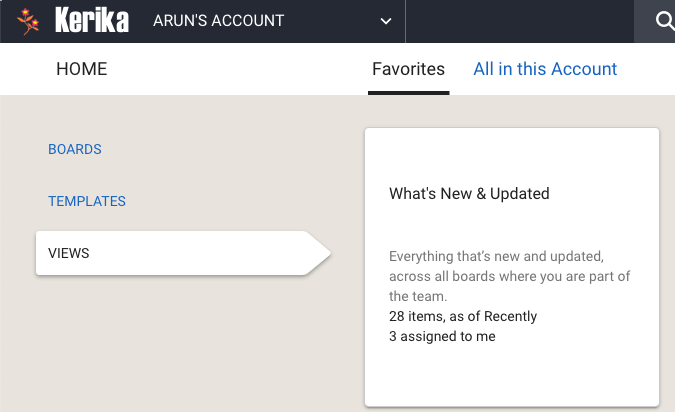 About Task Boards. See also Kanban and Lean. We have added the University of Malaya to the list of domains from which people can automatically qualify for a free Academic Account: anyone signing up for Kerika+Google with a um.edu.my email — students, teachers and administrators — can automatically qualify to have up to 10 Team Members working on boards owned by their account. Most people sign up as new Kerika users using a Google ID or Box ID, but an increasing number of folks are opting for direct signup: this means signing up with your email (any email will do). For these folks, here’s a quick tutorial video that shows you how your files are stored and shared. A new tutorial video, part of our ongoing effort to create short learning opportunities for our new users, each focusing on one aspect of using Kerika. This one is all about getting stuff done: scheduling and managing your work, using Kerika’s Task Boards and Scrum Boards.